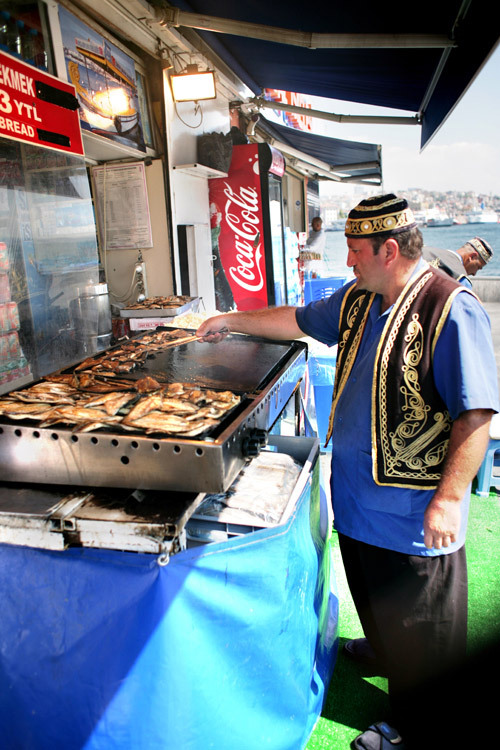 As I was editing the photos for the article, the strongest memory that came back to me from the visit to Istanbul was the taste of a mackerel sandwich on the bosforos boardwalk. It took one glance at the shot I took there and I could feel the taste in my mouth. The simple fish grilled on the spot, on a fresh baguette. Nothing more. A drop of lemon juice and a little salt, and the culinary party in your mouth is unrivaled by any sophisticated restaurant. 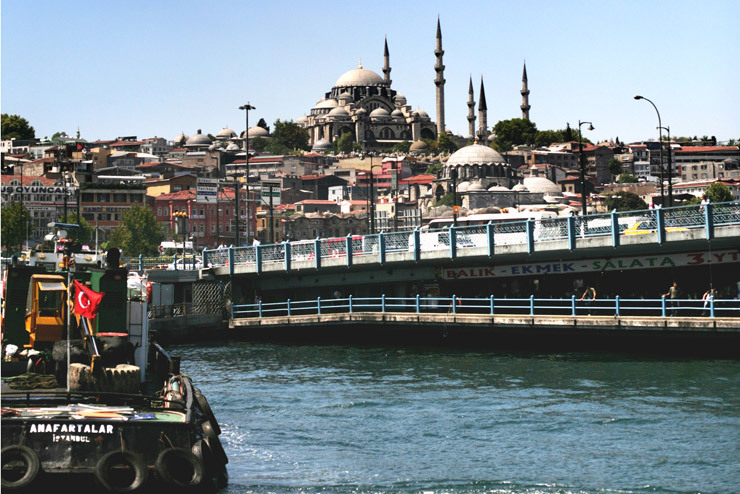 And when it is all in the magnificent view of the river, with a cool breeze entering the land from the open sea, it is the perfect lunch and a perfect example of the charm of Istanbul. The simplicity of one of the most complex cities In the world. 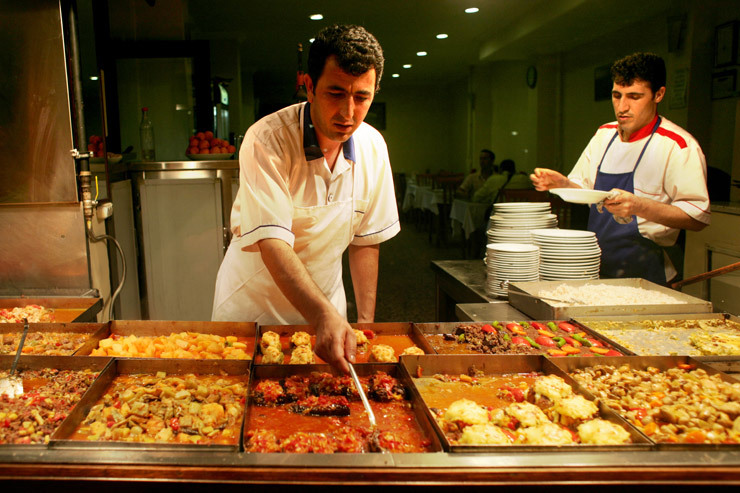 Istanbul was always a city with a split personality, one foot in asia, one in Europe, and this dual existence has given it the cultural strength to form a real Turkish entity, in food, in art, in way of life. 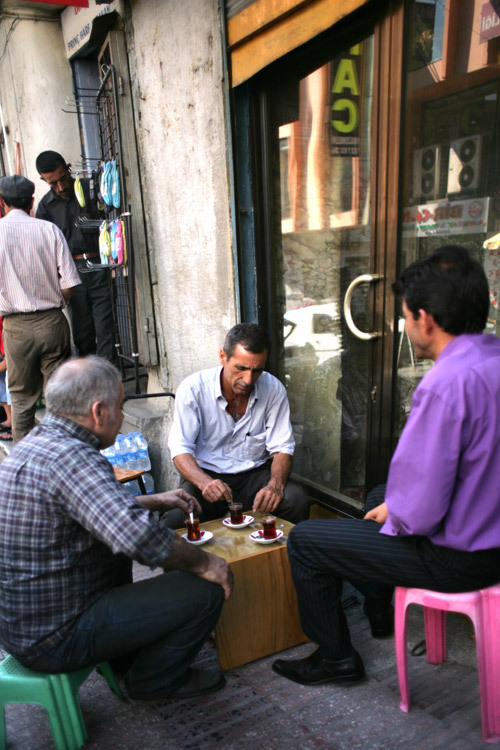 International businesses are being run by men with suits, seemingly living the crazy western pace but in the end of the day everybody still gathers in the local tea house, for a strong, sweet small glass of tea, and a couple of hours of gossip with friends around the nargila or sheesha. The tea and the tumbac, the special type of moist tobacco smoked in the nargila, come in various tastes , with the most common being apple, and it's sweet seducing smell engulfs you as you walk into one of these off the road tea shops. 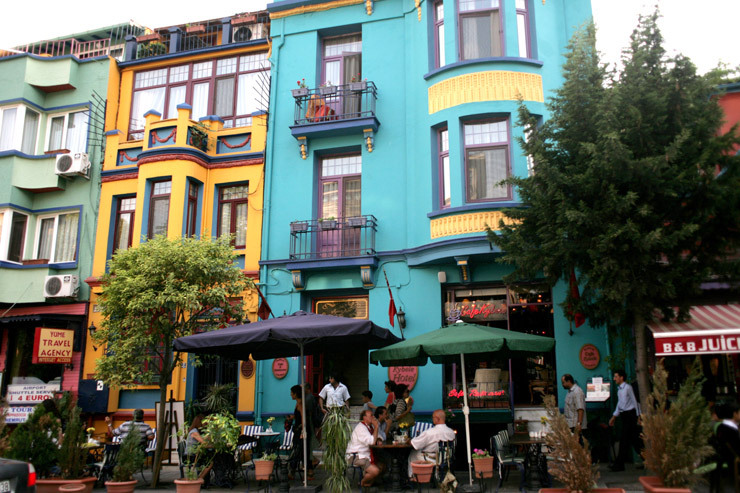 Although Istanbul is a popular tourist attraction, it is still relatively easy to find the real local tea houses, and if you are lucky, the tea house you chose has a live band in the evening. If you are less then lucky, you will be dragged into the band to dance or play the drums. 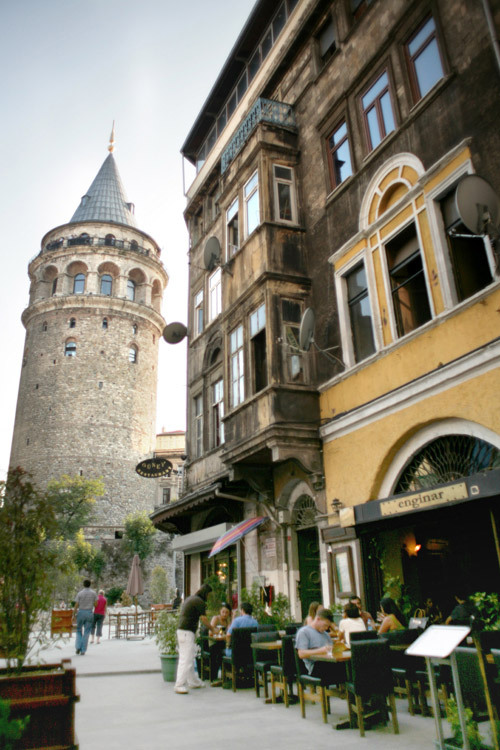 But Istanbul is not a place where you want to spend too much time lazing around in tea shops all day, and the only way to really see the city is on foot. As someone who destroyed dozens of sandals all over the world, I can testify that it is one of the easiest cities to walk around (if you can ignore the fact that it is a basically a valley so fifty percent of the time you are walking upwards…) , with a lot of shaded avenues, small alleys and a relatively simple structure. The only real danger of walking around all day, is that the place is sprawling with food stalls selling hot pastries filled with surprises, handmade ice-cream , sweets of all kinds and a variety of fish in every possible variation. All this would have been tolerable if it wasn’t for the wonderful smells these food-stalls spread around, and it really is impossible not to stop every short while for "just something small". If the olfactory experience is the one you are looking for, the place to visit is the old spices market, a nice walk from the grand bazaar. It is not often you smell a building long before you see it, and then still be amazed from what you see. Hundreds of small piles of colorful dusts neatly displayed on golden plates, glowing in the morning sun that has managed to find a crack in the heavy window shutters keeping the place cool and inviting. The first thing that sprang to mind when I saw these colors were Buddhist powder paintings in Tibet and Nepal, but I dare any monk , no matter how enlightened, to finish a painting with these colorful powders without sneezing and ruining it all. Nothing is permanent. Once your eyes get used to the darkness you can appreciate the old building, built for the market in mind, but without the frills and dazzling décor of the grand bazaar. 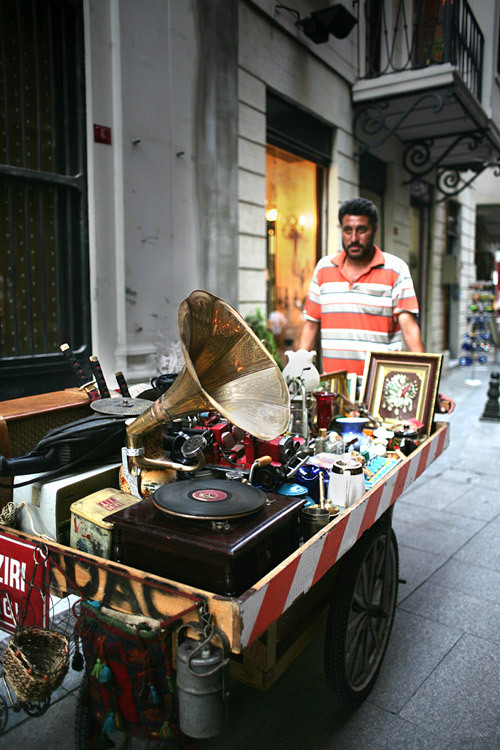 A simple and real old marketplace. After a while, the experience is overwhelming and a rest is needed. This is the time for some shopping, and on every corner you can find a trinket shop of sorts, and an open invitation for a glass of tea. If I would have to recommend something to solve all the world's problems, it would be strong sweet hot tea. And in Istanbul it seems to work. A social glue that is based on moving very very slow and enjoying the moment. 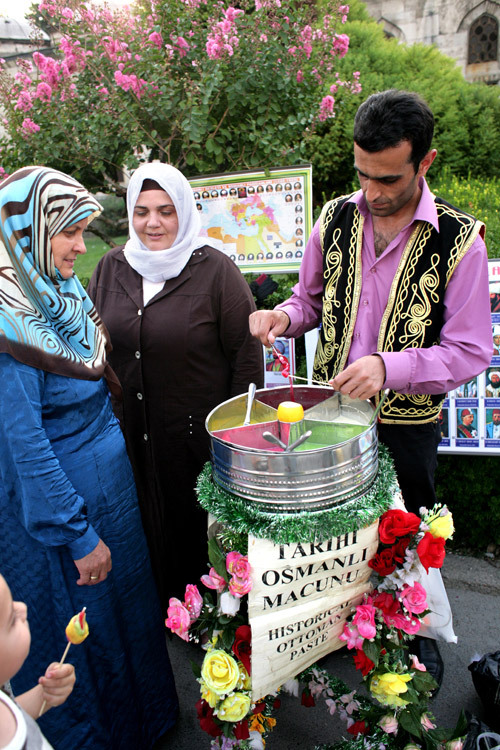 For the grand bazaar we have dedicated a full day, but it seems that even a week would not be enough. Somehow, like in mary popins's bag, they have managed to put into two city blocks what seems to be a complete and separate kingdom which is suspended in an unclear timezone. The sheer amount of visual stimulation is a bit frightening in the first couple of minutes, and is the equivalent of Tokyo neon lights but in small and almost gaudy shinny objects. but then all the details starts appearing and you get sucked into random shops, staring at bizaar objects with unbelievably complex geometric decorations, smiling like a small child in front of a hundred hanging lamps, of all sizes and shapes all made from mosaics of colored glass. 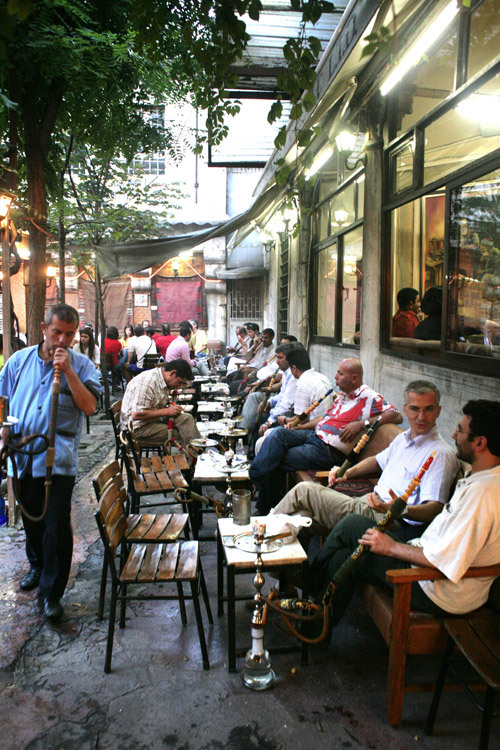 Walking through the small alley ways of the bazaar, is also the perfect opportunity for one of my favorite pastimes – people watching. 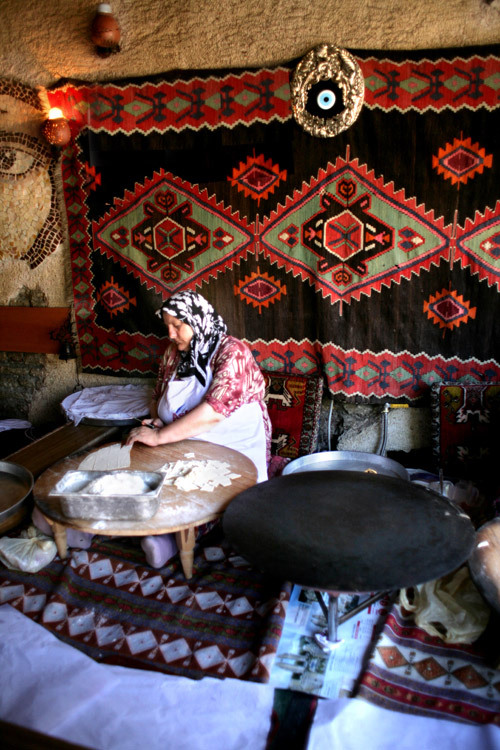 And in the bazaar in the old city of Istanbul? You get some serious characters there. Just sit down, order a cold glass of refreshing almond juice and let the show begin in front of your eyes. 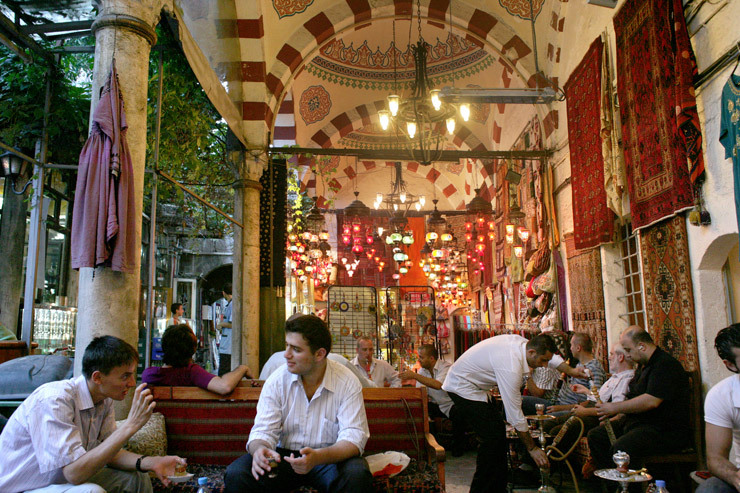 It is of course unnecessary to say that some of the best food in the city hides between these dark passages of the grand bazaar, but it will be pointless for me to try to direct you to any of these places as I still get lost the minute my foot steps in the bazaar, and the truth? I like it that way. 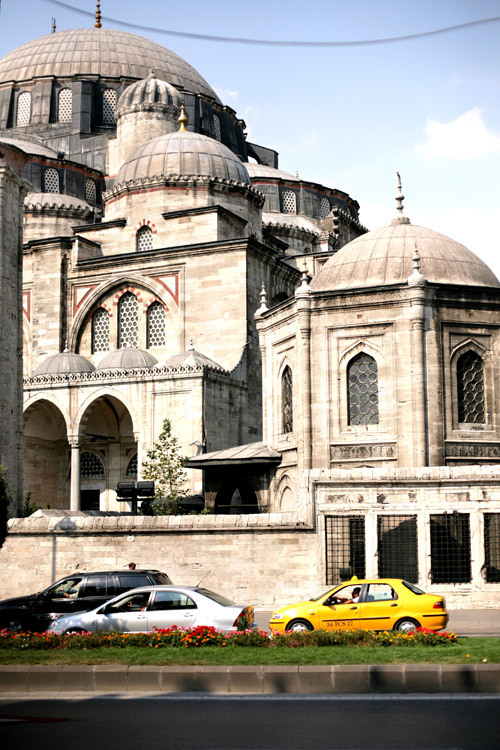 A visit in Istanbul is not complete before you seeing the two gems on the bosforos, the relics of the great empire when that sultans were poets, philosophers and artists. 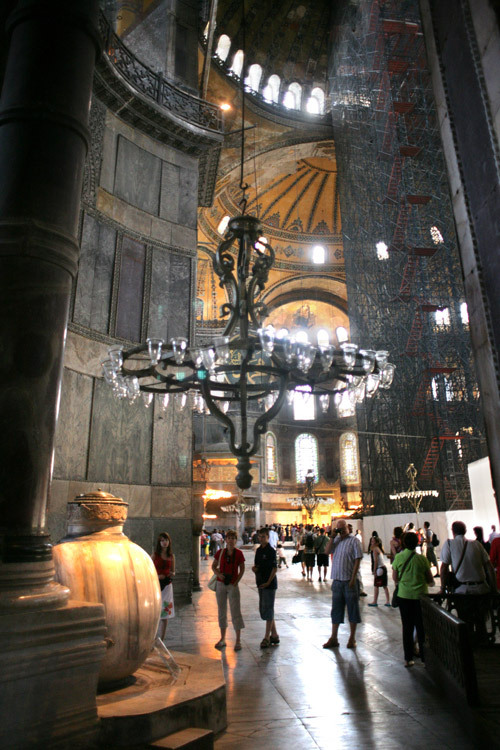 The first is of course the agia-sofia, the church turned mosque architectonical monument. I don’t remember a lot of the explanation about the agia-sofia as it was after lunch and the painfully delicious Turkish food had started to take effect on the blood flow to my brain, but it is truly one of the few places where you feel a real sense of awe. At least one of the very few man made ones. When you walk in, and step into the light of the main hall, looking at the immense space around you, all decorated with scriptures and geometric designs. It realy gives a sense of grandeur, of the kind the trump's of the world will never know. And if grandeur is on the menu, we go straight to topkapi to see the last sultan's palace, where the gold is in the words on the walls, the jewels are on display and are three times bigger then what you expect jewels to be., and the balcony has the best view this side of the Mediterranean. He seemed to have quite a good life, the sultan. The last thing on the must list of Istanbul, at least on this side of the river is the blue mosque, which , not surprisingly, is a mosque, and the whole interior is blue. As mosques go it is a very beautiful one, but we still have the 'new' side of the river. New meaning it is less old than the old side. The 'new' part has been built only in the 1800's. And it is exactly this kind of time warp, where the city is practically one leg in the past, and the other…well, in the past too actually ,but still also in the present. the first impression when we got to taxim square and saw all the small café's and restaurants on the way, in the shadows of large trees that have been standing there for a dozen generations, was that it is a good life, and a good way of living , that like in many other of the Mediterranean countries, just seems right. We passed through the brand name infested main streets and found a nice backdoor restaurant, overlooking the hill down to the bosforos. As I looked around at the restaurants and cafes filling up with people I couldn’t shake the feeling that once, before we tweeted and facebooked and sms'd our relationships, we also made time for a good conversation in the shade, a nice crackling fresh goat cheese pastry and a cold beer. 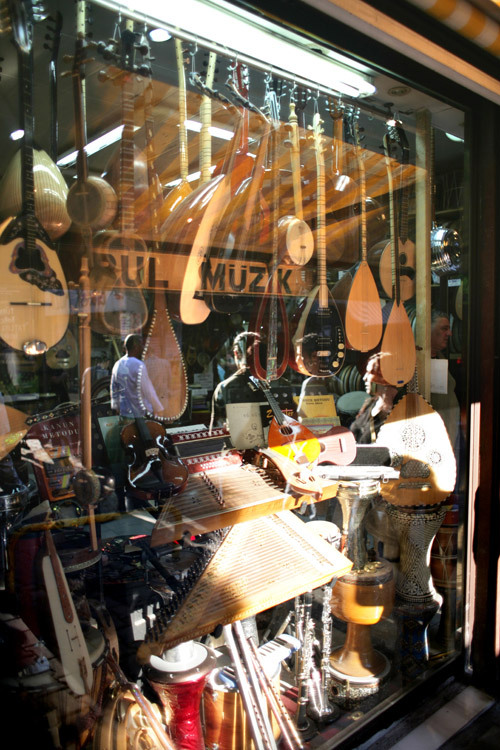 Maybe we all need the time warp that is Istanbul. A nice sweet hot strong tea.